I have always been a huge fan of Penguin books. I am a bit of a collector so tend to buy books from the same range so that they look nice on my shelves. As an illustration lover I am drawn to Penguin books in particular as they tend to really think about the artists they use to get the tone just right. Having said all of this I actually got the idea to look to Penguin for inspiration from the lovely Alice at OneNailToRuleThemAll who has done a couple of book related manis. I am a bit disappointed in myself for not thinking of the idea before! 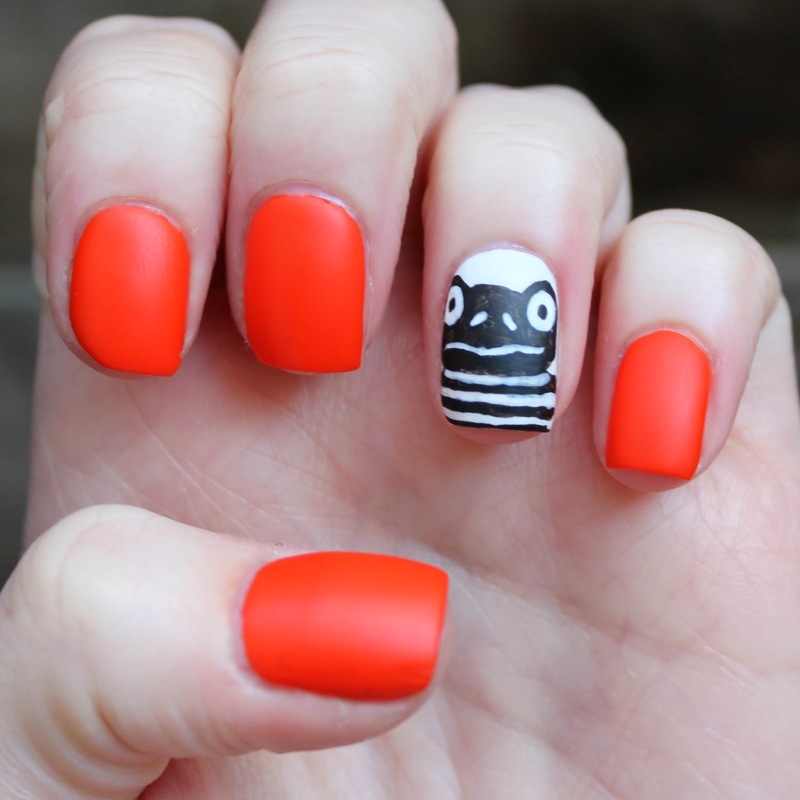 The inspiration for this mani in particular came from an image I found on good old Google. 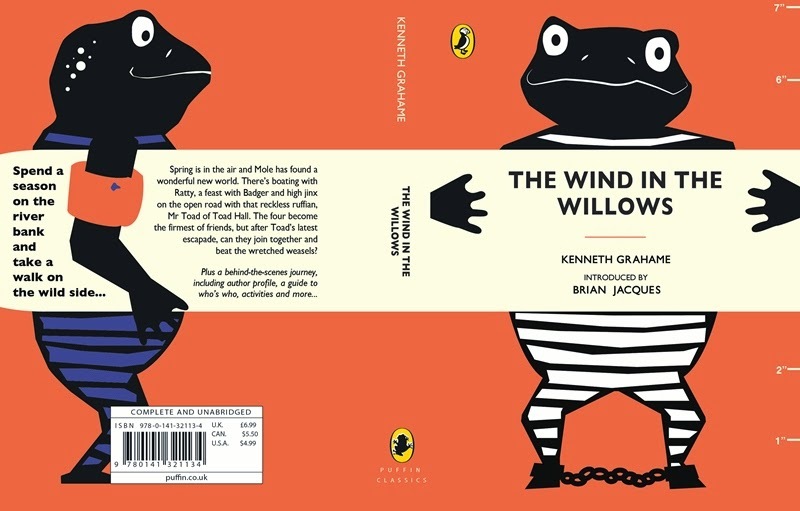 I think it was part of a competition to design a Penguin cover and is by artist Vicky Mills for Wind in the Willows. 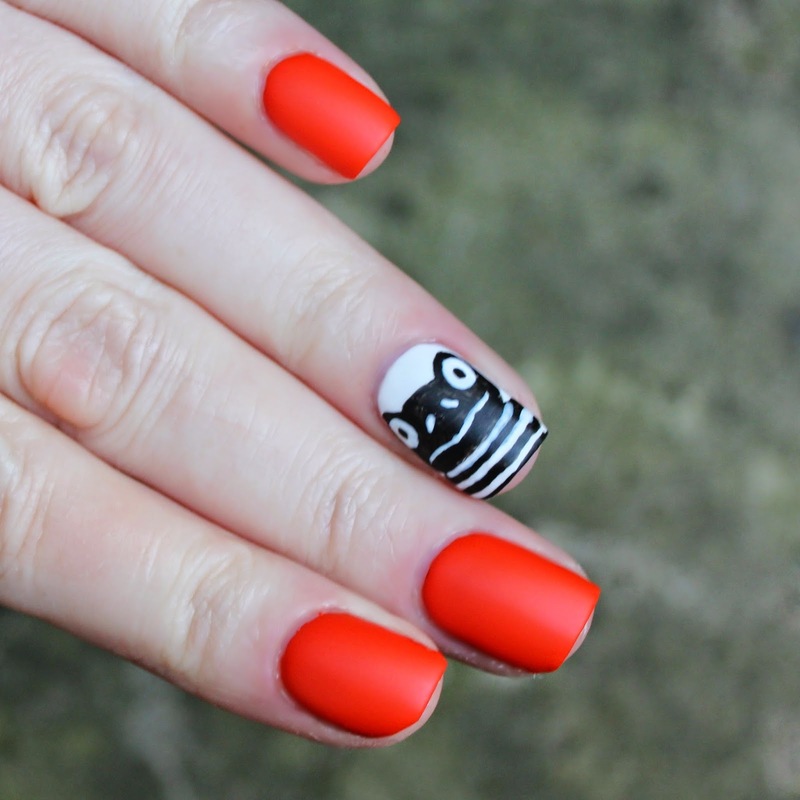 I was drawn to the fun toad pics and the classic Penguin-orange vibe. 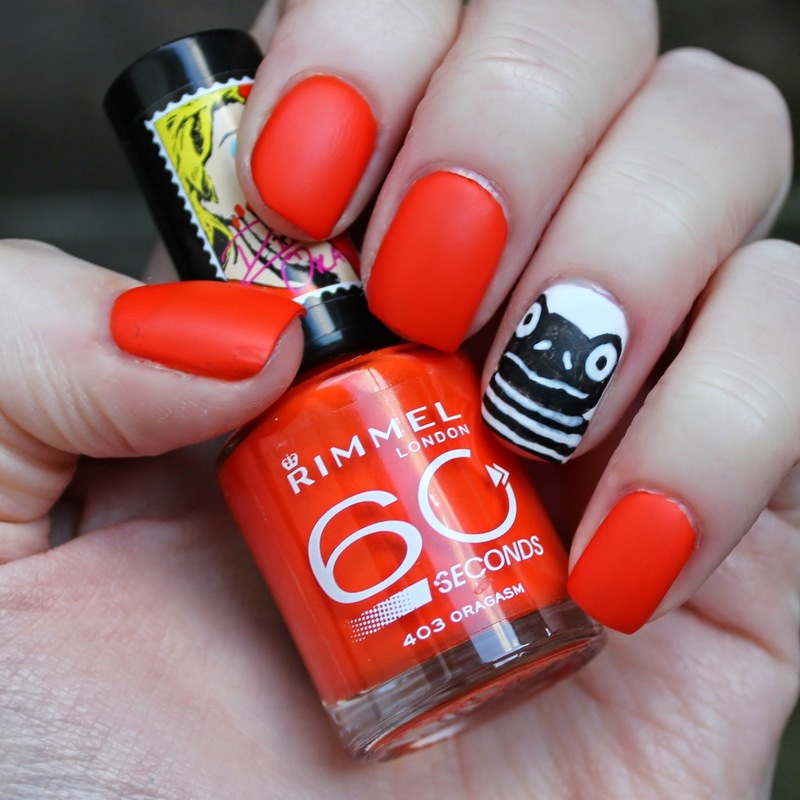 To create my mani I used Rimmel's Oragasm* as it was the closest orange I have to the cover. I also used a matte top coat as it didn't look quite right when shiny. I love how these turned out and have been inspired to look to my beloved book collection some more.